This message will please all the lovers of elegant and original design. From 14 April, the offer of the Klif Fashion House in Warsaw includes designer boutique Dorota Goldpoint. Her collections, full of natural charm, appreciate femininity and comfort. And the success of the projects is confirmed by crowds of stars and show business representatives coming to the shows. The latest collection is available in the Dorota Goldpoint store at the Klif Fashion House. In the spring/summer 2018 season, the designer set the inspiration for African savanna. Light clothes in khaki colors refer to the first pret-a-porter safari style collection presented by Yves Saint Laurent in the 1960s. The collection includes long silk dresses, tunics, and dresses made of silk-linen jacquard woven in a plant pattern, classic shirtwaist dresses, safari jacket or fashionable shorts. Thanks to this feminine line of clothing and accessories, this summer the city will acquire extremely juicy colors and the climate of the sunny savanna. Elegance and luxury in the Goldpoint edition are made for everyday wear. 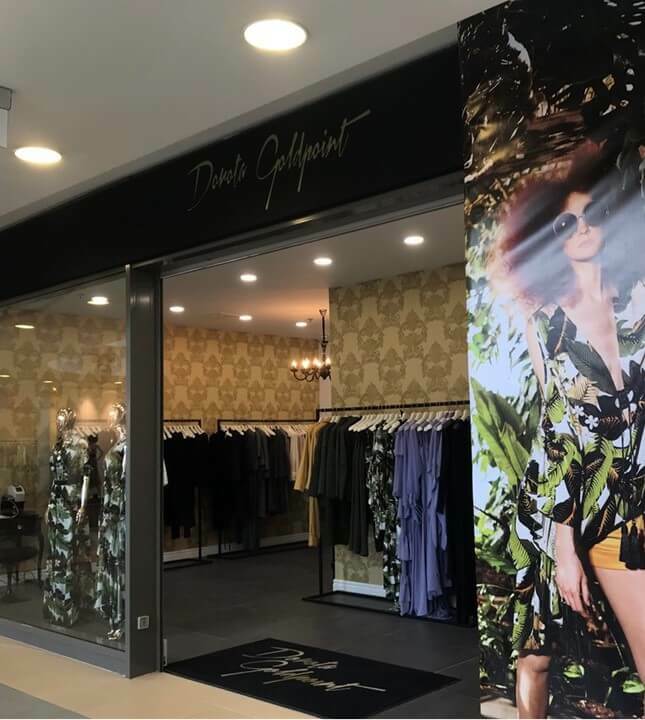 Regardless of business or private occasion, time of the day and weather, in the new Dorota Goldpoint store at the Klif Fashion House, you will surely find something for yourself. Look for it on level 1, next to the La Perla Clinic.